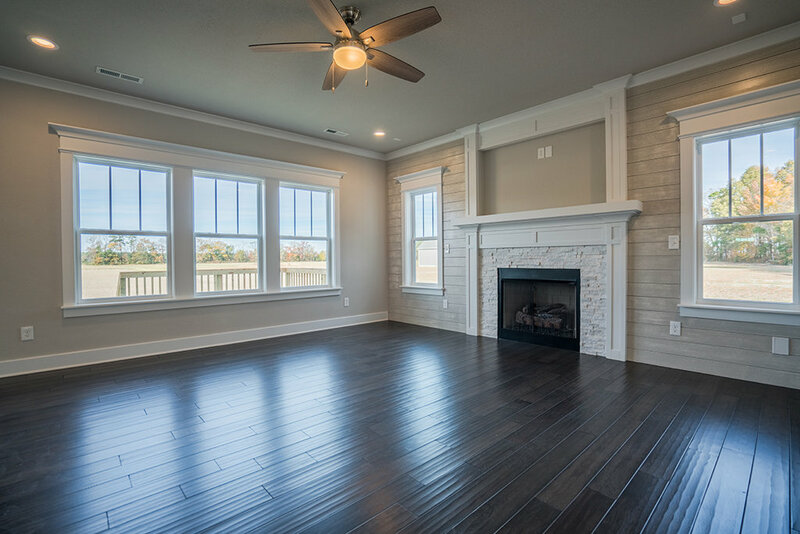 New Homes by A & B Building, Inc.
Building in Hampton Roads and North Carolina, A & B Builders is know for quality construction. Adam Maurice is a hands on builder that truly listens to his clients, helping them through every step of the home building process. If you looking for a custom builder that cares deeply about the homes he builds, let us introduce you to A & B Building. For more information about available homes or planning a build-to-suit home, Contact Jimmy Reece. You'll be glad you did! A & B Building, Inc. has been building fine custom homes for over 15 years. Adam Maurice provides the vision, experience and dedication needed to make his client's new home dreams a reality. Know for his attention to detail and hands-on approach, Adam works closely with his clients through the entire building process. 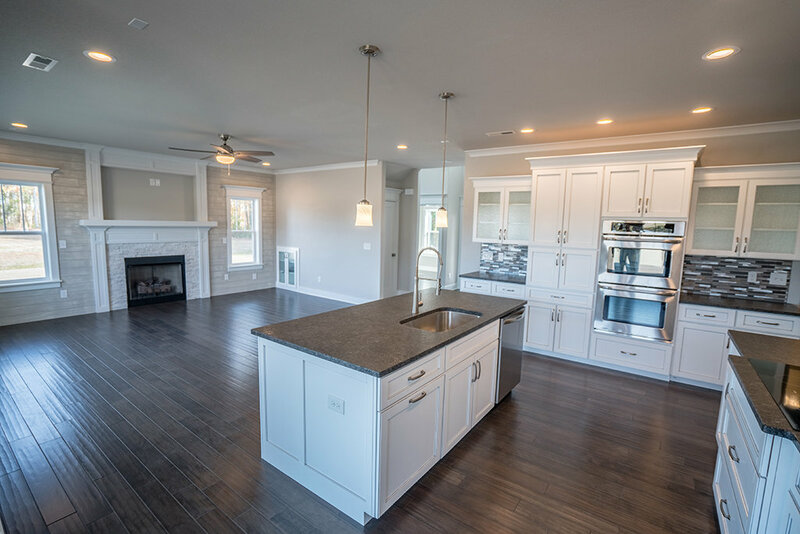 If you are currently considering building a new construction home we are here to help you through the process of locating the right building lot, designing your floor plan and making the interior and exterior choices that will set your home apart. Building a new home can be a lot of fun but the real joy comes from sharing you new home with friends and family. Adam understand that he is building more than a house he is building a home where memories will be made and shared for years to come. Okay...who doesn't like to gather in the kitchen? 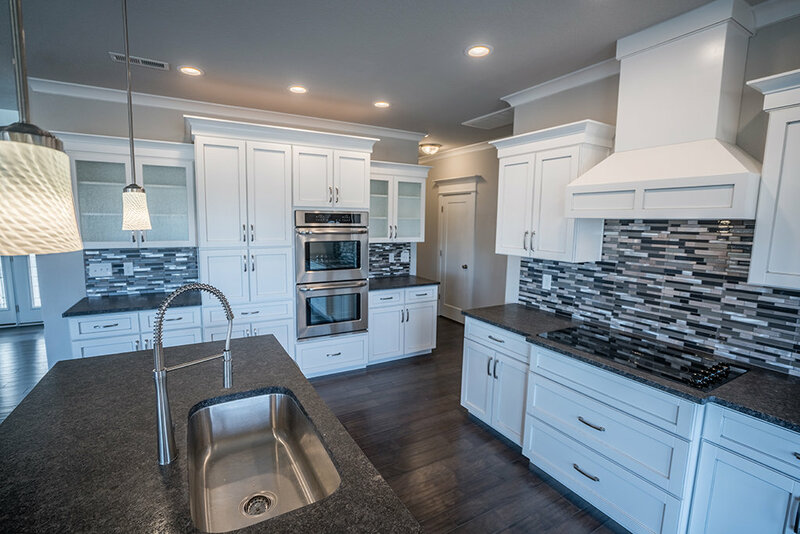 If the kitchen is the heart of the home than your heart will beat a little faster when you are sharing your new custom kitchen built by A & B Builders. Adam Maurice has a great eye for design and it shows in every kitchen and home he builds.